“Food of Sinful Demons” shows the centrality of vegetarianism to the cultural history of Tibet through specific ways in which nonreligious norms and ideals shaped religious beliefs and practices. Barstow offers a detailed analysis of the debates over meat eating and vegetarianism, from the first references to such a diet in the tenth century through the Chinese invasion in the 1950s. He discusses elements of Tibetan Buddhist thought—including monastic vows, the Buddhist call to compassion, and tantric antinomianism—that see meat eating as morally problematic. He then looks beyond religious attitudes to examine the cultural, economic, and environmental factors that oppose the Buddhist critique of meat, including Tibetan concepts of medicine and health, food scarcity, the display of wealth, and idealized male gender roles. Barstow argues that the issue of meat eating was influenced by a complex interplay of factors, with religious perspectives largely supporting vegetarianism while practical concerns and secular ideals pulled in the other direction. 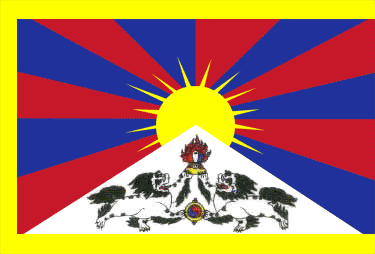 He concludes by addressing the surge in vegetarianism in contemporary Tibet in light of evolving notions of Tibetan identity and resistance against the central Chinese state. 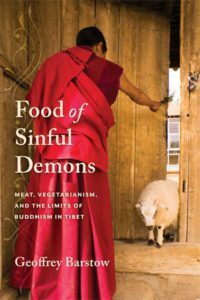 The first book to discuss this complex issue, Food of Sinful Demons is essential reading for scholars interested in Tibetan religion, history, and culture as well as global food history.